Telco 2degrees is to offer New Zealand’s 690,000 SuperGold Card holders a monthly discount of up to $20 every month. 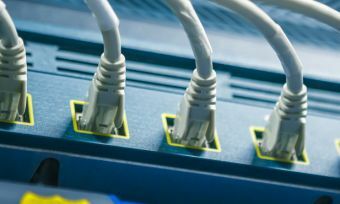 The offer which includes a $5 per month discount for Pay Monthly as well as a $5 per month discount for a home broadband connection goes live this week. In addition customers who have both a Pay Monthly mobile account as well as home broadband with 2degrees will receive an extra $10 off a month, a total saving of $20 each month. The offer is also available to existing 2degrees customers and will sit on top of any promotions 2degrees offers. 2degrees CEO Stewart Sherriff says 2degrees is all about connecting New Zealanders and he wants as many people as possible to experience the benefits of living in an increasingly connected world. “The ability to stay in touch with friends and family, being able to Skype, WhatsApp or FaceTime your grandkids, it has the potential to really enrich a person’s life. We know there are groups of people who can feel isolated or find new technology hard to access, and by introducing this monthly discount we hope to make our services more affordable so that more Kiwis can get connected,” Mr Sherriff says. SuperGold Key Account Manager, Tim Bryers says while many of our older population are adopting new technology such as having a smartphone or home broadband, some may need a bit more help to reap the benefits these services could bring to their life. Pay Monthly Plans for SuperGold card holders would start from $24.95 versus the usual $29.95 for 1GB NZ Carryover Data, 300 Carryover Minutes to NZ & Aussie and Unlimited* Text to NZ & Aussie. “This is an extremely competitive price in addition to offering the industry’s best customer service and ability to Carryover minutes and data”, Mr Sherriff says. To receive the discount SuperGold Card members should visit https://sg.2ddiscount.co.nz to register.